Isabel Villanueva - Scaffardi Artists Management AGENZIA DI MANAGEMENT ARTISTI, ORGANIZZAZIONE E GESTIONE EVENTI. Recently awarded the Spanish National Radio Culture Prize 2015 (Premio Ojo Crítico), Isabel Villanueva (1988), is one of the best violists of the new generation. She is valued for her expression and sensibility as well as for her passion and commitment to promote the viola as an instrument with its own voice. Isabel won the Intercentres Competition in Madrid in 2006 and the International Competition ‘Città di Barletta’ in Italy in 2007. She is also prizewinner in Concurso Juventudes Musicales de España, Mravinsky Competition in St. Petersburg, Beethoven Viola Competition in Czech Republic and Yuri Bashmet Viola Competition in Moscow. In 2014 she was awarded the ‘Prix Albert Lullin’ by the city of Geneva. In 2015 she was named Global Ambassador of Spanish Talent by Clear Channel and recognized institutionally by Marca España. From October 2015 she has been named Cultural Ambassador from theFondation Prim'Enfance in Geneva. 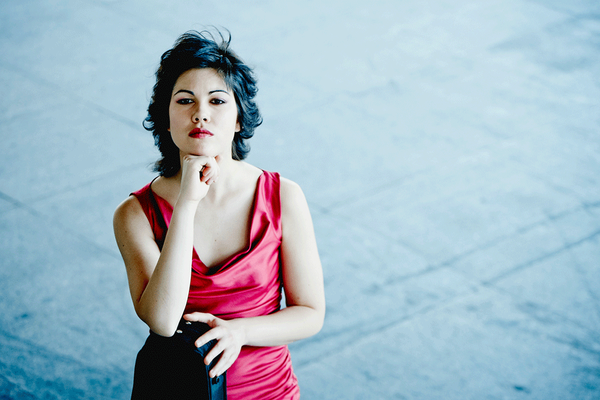 She has performed recitals and solo concerts through Europe, Middle-East and Russia in prestigious venues including Palau de la Música Catalana in Barcelona, Teatro Monumental in Madrid, Santander Festival, Auditorio de Tenerife, Sociedad Filarmónica in Bilbao, Estonia Concert Hall, Roudaki Hall in Tehran, National Gallery in London, Slovenian Philharmonic Hall in Ljubljana, Teatro Centrale di Sanremo, Cheltenham Town Hall, American University of Beirut, Pablo Casals Festival in Prades, LegeArtis Festival in Austria, Grand Hall of St. Petersburg Philharmonic and the Wigmore Hall in London. Laureate of competitions such as Intercentres Competition in Madrid (1st Prize & Best String Player Prize), International Competition ‘Città di Barletta’ (1st Absolute Prize), Concurso Juventudes Musicales de España (2nd Prize), Mravinsky Competition in St. Petersburg (Audience Prize and Special Prize), Beethoven Viola Competition in Czech Republic (Finalist and 'Honourable Mention'), Yuri Bashmet Viola Competition in Moscow (Finalist 4th Place), and the ‘Prix Albert Lullin’ as the most outstanding string player of the year 2014 awarded by the city of Geneva. 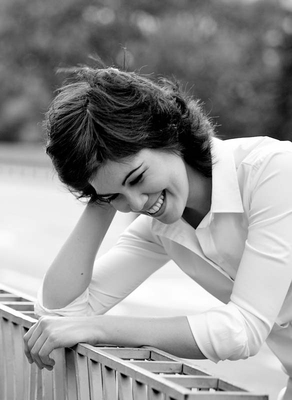 As a soloist, Isabel Villanueva has been invited to perform concertos by J.C.Bach, Haendel, Mozart, Hoffmeister, Bruch, Weber, Britten, Hindemith, Bartók, Gubaidulina, Olivero or Zárate with the Spanish Radio Television Symphony Orchestra, Moscow Soloists, Estonian National Symphony Orchestra, ‘New Russia’ State Symphony Orchestra, Orquesta Sinfónica de Castilla y León, Glasperlenspiel Sinfonietta, Orquesta Nacional Clàssica d’Andorra, Orquesta Sinfónica Vigo 430, Orquestra de Cambra Illa de Menorca, ‘Grupo Enigma’ from Zaragoza, among others. Highlights include, at the age of 18 her performance of Bartók Viola Concerto with Radio Television Spanish Symphony Orchestra at Teatro Monumental in Madrid. In 2010, the world premiere of José Zárate Viola Concerto with ‘Grupo Enigma’ at Auditorio de Zaragoza. In 2012 she was invited performing at Sofia Gubaidulina's 80th Anniversary Gala Concert her Concerto for two violas 'Two Paths' in the Grand Hall of St. Petersburg Philharmonic. In 2013 she became the first foreign violist to perform solo recitals in Iran. In 2014 she was guest soloist at the Closing Gala of MustonenFest in Tallinn performing Betti Olivero ‘Neharót, Neharót' with the Glasperlenspiel Sinfonietta at Estonia Concert Hall. 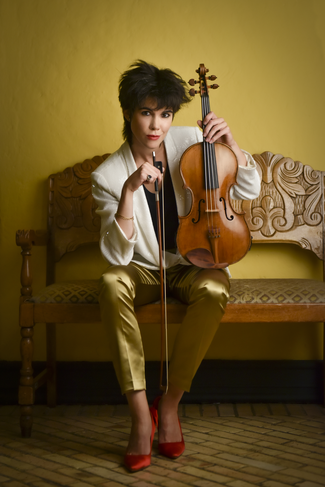 Isabel Villanueva has a strong interest in expanding music for viola. She has premiered several works and collaborated with composers such as Sofia Gubaidulina, Betti Olivero, Tomás Marco, José Zárate, Jordi Cervelló, Houtaf Khoury, Hooshyar Khayam and Golfam Khayam. Her performances have been broadcasted live for RNE Spain, Catalunya Musica, RTV Slovenia, Estonia Klassika Raadio and TV Russia ‘Kultura’. In 2007 she recorded for the Spanish Radio archive RNE. She appears regulary as a jury member of 'Juventudes Musicales de España' competition. 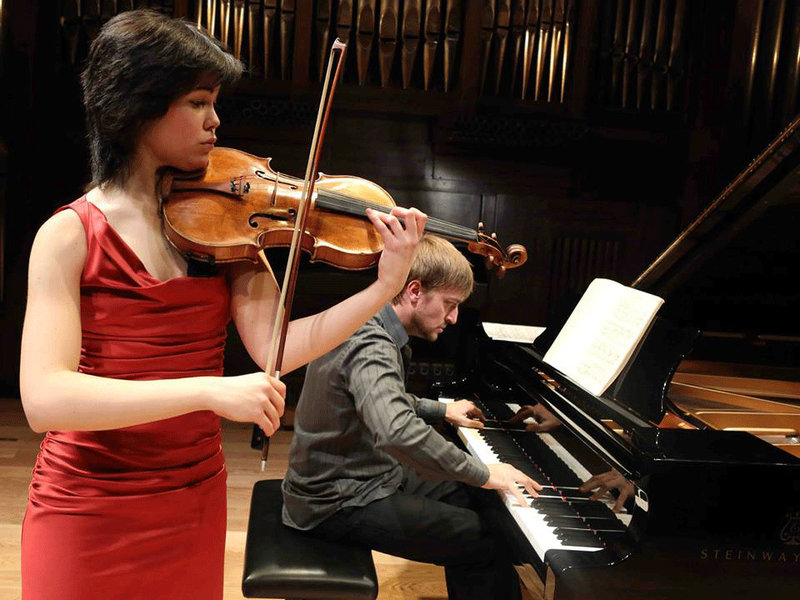 She has been invited to hold viola masterclasses in Spain, Iran and Lebanon. Isabel Villanueva studied with Igor Sulyga, Yuri Bashmet, Lawrence Power and Nobuko Imai graduating with honours at Royal College of Music in London, Academia Musicale Chigiana in Siena and the Haute École de Musique in Geneva. She has received influential advices from artists including Sofia Gubaidulina, Kim Kashkashian, Nathalie Stutzmann, Miklós Perényi or Péter Nagy. During the 2015/2016 season, she will perform together with artists such as Andrea Lucchesini, Martti Rousi, Michaël Levinas, Quartetto di Cremona, Daniel Schnyder or the Trio Arbós. Isabel Villanueva plays an Enrico Catenar viola from 1670.